~Francis Bacon, Essays (1625) Bacon’s Essays By Francis Bacon, Richard Whately. 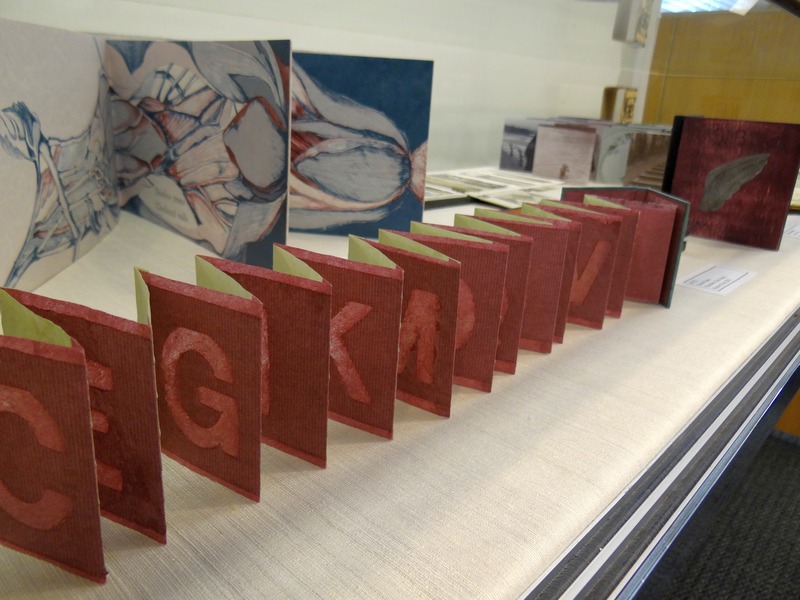 We have talked about artists’ books on the Smithsonian Libraries blog before. And we’ll talk about them more, as a part of a short series to highlight interesting works of book art owned by the Smithsonian’s American Art & Portrait Gallery Library. But what, exactly, is an artist’s book? You may not be able to tell just from looking at the object itself! An artist’s book is a medium of artistic expression that uses the form or function of “book” as inspiration. It is the artistic initiative seen in the illustration, choice of materials, creation process, layout and design that makes it an art object. A book that only contains text is simply a book; even if authored by an artist, it would be a book that belongs in a book store or the shelves of a library. What truly makes an artist’s book is the artist’s intent, and artists have used the book as inspiration in a myriad of ways and techniques, from traditional to the experimental. The book could be made through fine press printing or hand-crafted, the pages illustrated with computer-generated images or cheap photocopies; books became sculptures, tiny and gargantuan; books were sliced up and reconfigured, made from all kinds of materials with unconventional objects incorporated, in unique or limited editions, or produced in multiple copies. With all sorts of ideas behind them, artists continue to challenge the idea, content and structure of the traditional book. Although artists have illustrated the words of others in books since the advent of the printed book itself in the 1400s, the book as art object is a product of the 20th century. In Europe from the 1950s, artists were experimenting with the book format, making books with unique printing and bindings, such as slits or holes cut through the pages and unique shapes for the binding or boxing. In the United States, Ed Ruscha produced some of the first artists’ books consisting of compilations of photographs with a title on the front cover and little narrative quality. Other artists used the book format to create narratives to deal with difficult or emotional issues, and some used it as a cheap, portable way to make the artwork available to a broader public than the gallery and museum world allowed. 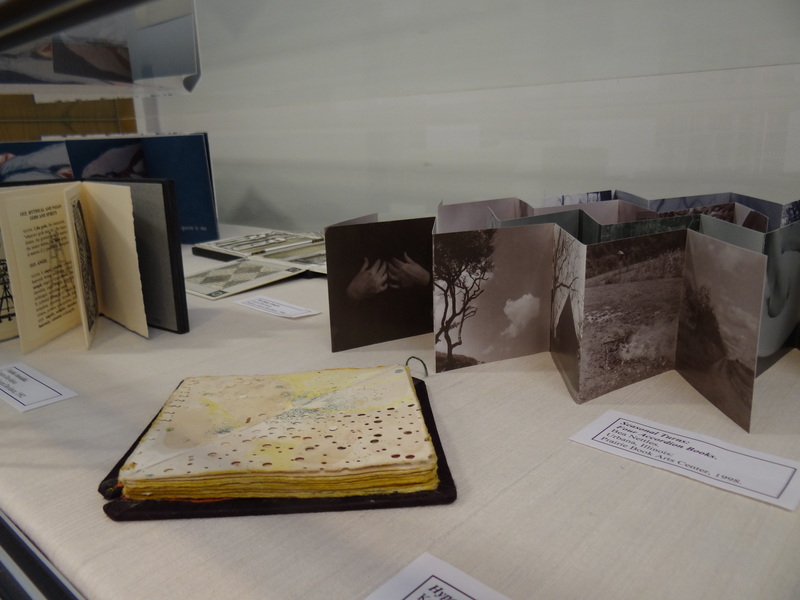 Fast forward to today, artists’ books exist at the intersections of printmaking, photography, poetry, experimental narrative, visual arts, graphic design, and publishing. Artists’ books have made a place for themselves in the collections of museums, libraries and bibliophiles, they have caught the interest of art historians and critics writing about art, and there are numerous studio programs in art schools dedicated to the art of the book, ushering in new generations of artists making books. There are a few complications with artists’ books. Compared with other 20th century art movements and media, such as Conceptualism or sculpture, there are few scholarly texts dedicated to the medium, and the existing scholarship does not always agree! Even how to properly punctuate the term is disputed: whether “artist’s book,” “artists book” or “artist book.” Not to mention the question of where they physically belong—in museums or in libraries? Books are meant to be touched, and their pages turned, but an art object is usually only experienced under glass in a museum. These are issues that affect the work of artists, practitioners of book arts, curators, museum collections staff, librarians, publishers and others. Yet the problems of the ambivalent nature of the artist’s book is part of what gives it such interesting potential. 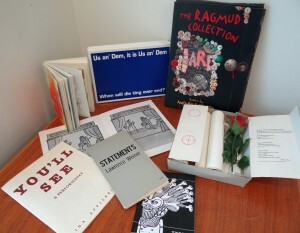 And stay tuned for upcoming posts on artists’ books in the collection of the Smithsonian AA/PG Library! The Bonefolder: an e-journal for the bookbinder and book artist. Printed Matter: non-profit organization dedicated to the promotion of publications made by artists. Artists’ Books: a critical anthology and sourcebook. ed. Joan Lyons. Rochester: The Visual Studies Workshop Press, 1985. Bury, Stephen. Artists’ Books: the Book as a Work of Art, 1963-1995. Aldershot: Scolar Press, 1995. Castleman, Riva. A Century of Artists Books. New York: Museum of Modern Art, 1994. Drucker, Johanna. The Century of Artists’ Books. 2nd ed. New York City: Granary Books, 2004. Artist/Author: Contemporary Artists’ Books. Eds. Cornelia Lauf and Clive Phillpot. New York: Art Publishers Inc., 1998. Perrée, Rob. Cover to cover: the artist’s book in perspective. Rotterdam : NAi Publishers, 2002. 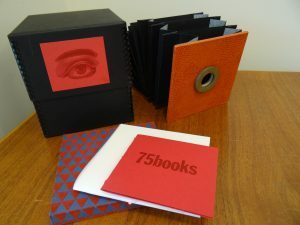 In a similar vein, the Indie Photobook Library located right here in DC Metro has taken on the herculean job of accumulating the more mass-produced artists books, which can encompass traditional handmade to print on demand books. http://www.indiephotobooklibrary.org A great compendium of visual works. Highly recommended. What’s important in a book is it’s content. How much helpful information has the author shared or taught us. I think that’s the basic point. I have written two artists book: one recently published 2015 and another that have been revised. Both have recently been purchased by NASCAD University, Nova Scotia, Canada, for their library. How do I go about donating a copy of the books to the collection of the Smithsonian Libraries?